Joss Stone has had her share of label troubles, as she previously had a well-publicized feud with EMI. Now, she is running her own suggestively titled Stone'd Records and gearing up to release a new album. Entitled LP1, it will come out on July 26 in partnership with Surfdog Records. Despite what the title suggests, LP1 is actually Stone's fifth full-length. So, where does the name come from? 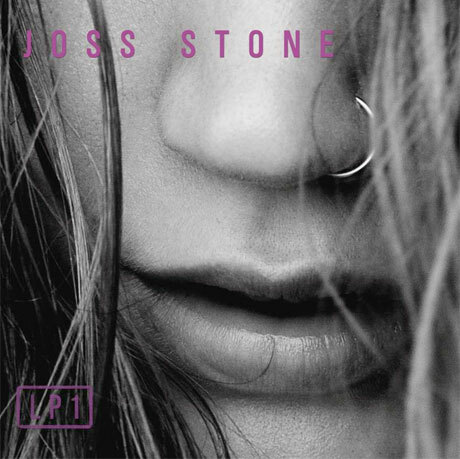 According to a press release, "This is the first album Joss has recorded with total creative freedom." This is hardly the first time Stone has claimed to reinvent herself by assuming complete artistic control. In 2007, it was Introducing Joss Stone and in 2009, it was Colour Me Free. This latest album was co-written and co-produced with the Eurythmics' Dave Stewart. The pair had a "rock'n'soul musical odyssey" and finished the album in just six days in Nashville. Of this quick genesis, Stone explained, "This album captures a specific moment in time that was spontaneous and full of creativity." There's currently no tracklist for the album, but perhaps it will feature recent single "Back in Style." Take a listen below.